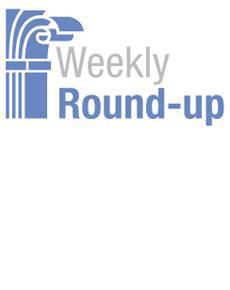 Articles from across the Web that we at the IBM Center for The Business of Government found interesting for the week of April 23 – May 4, 2018. DoD Acquisition Reform. Federal News Radio reports: “Fourteen months after President Donald Trump ordered all agencies to stand up regulatory reform task forces, the Defense Department is making major progress in weeding out what it views as outdated and unnecessary acquisition rules. It is to undertake an in-depth scrub of the Defense Federal Acquisition Regulation Supplement (DFARS), decide what is still relevant, and what is slowing the system down for no good reason. DRAIN Act. Federal News Radio reports: a Senate lawmaker has proposed legislation that would seek to move all non-security federal agencies out of the Washington, D.C. area by 2029. The decentralization move by Sen. Todd Young (R-Ind.) would authorize the Office of Management and Budget (OMB) to come up with a plan for moving non-security agencies away from Washington by 2029 — or whenever the agency headquarters’ lease expires. Performance Pay. Government Executive reports: The Trump administration's management chief said last week that it is past time for Congress to make updates to the 1978 Civil Service Reform Act. More immediately, Margaret Weichert said the Trump administration will renew its push to fill a proposed $1 billion interagency workforce fund designed to support agencies’ pay-for-performance pilot programs and give departments flexibility when hiring in high-demand fields. Use of AI in Acquisition. Federal News Radio explores various ways in which artificial intelligence and technology automation can help ease the public sector’s bureaucratic contractual complexity that hinders action, as well as how to address some of its toughest revenue challenges. Influence by CHCO Council. Government Executive reports: Jeff Pon, the head of the Office of Personnel Management, urged agencies to appoint qualified chief human capital officers to serve on an advisory council, and he announced plans to increase the influence of the group in shaping federal workforce policy. Long-term Planning – Utah. Route-Fifty reports: A new law in Utah will strengthen state efforts to ensure fiscal stability. The measure creates new requirements to identify and manage the effects of potential economic and policy changes on long-term spending and revenue. Strategic Reviews. Government Executive reports: The White House will soon meet with all federal agencies over the summer to review their strategic plans and evaluate whether they are meeting key performance goals, according to new guidance from Office of Management and Budget Director Mick Mulvaney. “They will help the White House determine agencies’ progress in achieving the administration's “reform priorities and objectives,” Mulvaney said, adding that such regularly scheduled, data-driven assessments help organizations perform better. Using Data to Tell Story. Governing.com reports: Steve Ballmer, the former Microsoft CEO wants Americans to have a clear picture of how government collects and spends their money -- and what they get in return. Last week, USAFacts released its second annual report, which is packed with colorful graphs, pie charts and other data visualizations based on more than 30 years of federal, state and local government spending data. Reorg Done Right – USAID. Foreign Policy reports: Unlike ex-Secretary of State Rex Tillerson, U.S. Agency for International Development chief Mark Green has won over his workforce with his reorganization plan. Green has walked a precarious political tightrope many deemed impossible: satisfying both the Trump administration and the international aid community, two sides that have often been at loggerheads. GAO Duplication Report. Government Executive reports: From programs to counteract identity theft to inspections of imported seafood to storage of military clothing, federal agencies continue to duplicate one another’s efforts and miss out on potential efficiencies, Congress’s watchdog reported on Thursday. The Government Accountability Office, in its eighth annual report on “Additional Opportunities to Reduce Fragmentation, Overlap, and Duplication and Achieve Other Financial Benefits,” laid out 68 new actions in 23 areas for potential improvement. The savings identified since the reports began in 2011 are as high as $178 billion, the watchdog said. Civil Service Reform. Government Executive reports: During a conference call with reporters Monday morning, OPM Director Jeff Pon laid out his vision for the future of the federal government’s human resources agency, stressing his desire to move HR practices to the digital space, as well as a plan to reassert long-dormant authorities available to his office. He said that he plans to spend much of this year advocating on behalf of large-scale civil service reform, both through legislative proposals and administrative changes.